Personally, I've never once had a pie crust turn out quite right. Even if I manage to roll it out evenly, I can never get it pressed into the pan without it tearing or falling apart. And then there's the issue of baking it. If the crust is burnt or underdone, a pie just doesn't taste right. Whether your crust is gooey or charred, there's still hope. Here are a few ways to save your pie. A lot of times the top crust on a pie will cook faster than the bottom. If your bottom crust is underdone, cover the top with foil so it doesn't burn and throw your pie back in the oven at 425 to 450ºF for about 12 minutes. Make sure to put it on the bottom rack so the underside gets the most heat. Alternatively, you can scoop out the filling and top crust and just bake the bottom crust by itself. That way, when it's done you can pour the filling back in and make a crumb topping from the top crust. It may even look better this way if you top crust didn't turn out great the first time. Check out the video below by Allrecipes for more details and tips on how to prevent the problem from happening in the future. Forgot to set a timer and got your crust a little too done? There are a few ways to fix it. If the damage isn't too bad, just use a fine-holed handheld grater or a knife to scrape off the burnt bits. Just burnt the edges? Cut or break them off and garnish the pie with a ring of whipped cream instead. If anyone asks, that's what you meant to do all along. If the whole thing is charred, you can remove it and put on a new crust and bake it for 12 to 15 more minutes. If you don't have enough time to make a new one from scratch, just use a pre-made crust to make it easier. Odds are, no one will know the difference. 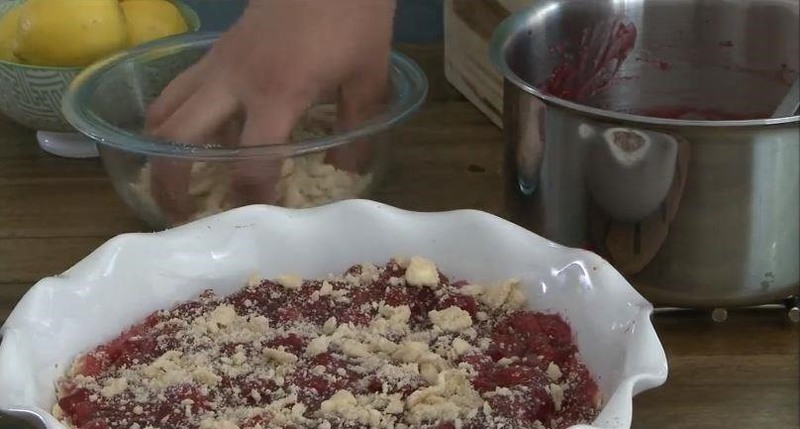 Got your own tips for making a picture-perfect pie crust? Share them with us in the comments below.